5 out of 5 rating for the 2015 version. 3.5 for the 2016 version. See my demo videos of both versions below. Northern Lights was made with the Lush Christmas Eve bubble bar scent and the “Santa’ FUN bar. Lush Description: Escape into relaxation with this bath bomb that gives an impressive display no matter where you are in the world. As the ends fizz away, the middle slowly dissolves to reveal blue and neon green, turning your water into a calming jasmine and ylang ylang-scented swirling night sky scattered with stars. Review: WOW a blue, pink, and yellow explosion of color, just like the real Northern Lights, coupled with that lovely floral fragrance of their Christmas Eve bubble bar. Ylang ylang and jasmine. Makes the water purple. This is the most incredible show in the water than any other lush bath bomb i can think of. Here’s a scent family portrait i made of all the Lush Cosmetics products with the same scent, per Lush. 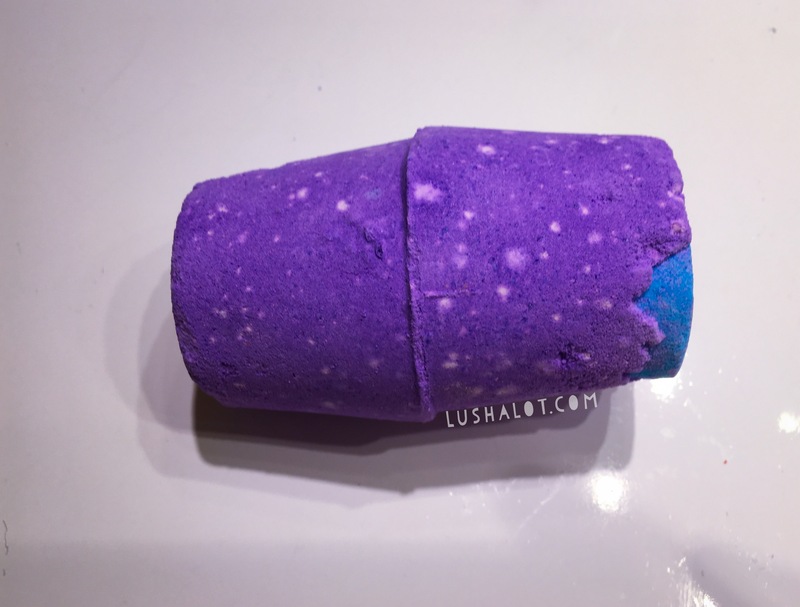 Posted on August 27, 2015 by Lushalot	• This entry was posted in Bath Bombs, Christmas 2016, Christmases Past and tagged bath art, Christmas eve bubble bar scent, floral, halloween 2014, jasmine, limited edition, lush cosmetics northern lights bath bomb christmas 2016, northern lights, popular, purple, scent family, scent twin christmas, stars, video, ylang ylang. Bookmark the permalink.